After a disappointing performance at the FIVB World League competition, the Egyptian men’s volleyball team has promised better results at the Rio 2016 Olympics next month. The team won four matches and lost five in the competition. However, Sherif El-Shemerly and team captain Hossam Abdallah promised to do better moving forward, saying the team was not in its best shape at the World League. According to Kingfut, the coach stated that three factors contributed to the team’s poor performance. 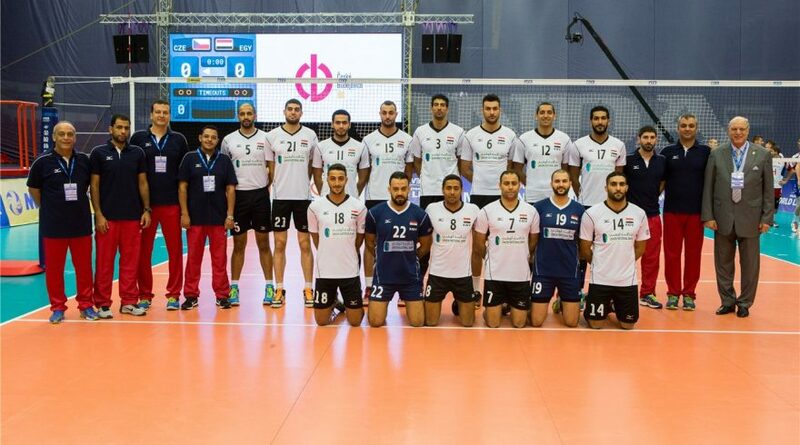 Egypt qualified to the World League among the top 24 teams in the 2015 World League, in which Egypt placed 21st. The team started off with a promising win against the Czech Republic, followed by a loss versus Canada, a win against China, then a defeat from Finland. Egypt also defeated Japan and Turkey, but lost its last three games to the Netherlands, South Korea and Czech Republic. This set Egypt in seventh place out of the 12 teams in Group 2, which was not enough for a spot in the finals that will include the top three teams in the group along with the host country. Still, the Egyptian players left the competition on a good note, with three of them among the top 20 scorers out of 137 players in Group 2. Ahmed El-Kotb is currently not only the highest scoring player in Group 2 but in the entire league, with 188 points. Additionally, Captain Hossam Abdallah is the second best server in Group 2, fourth in the competition. He is also the fifth best setter in his group, while Ahmed Abdelaal is the third best digger. As number 17 in the world and winner of seven African Championships, Egypt is the second highest-ranking African country after Tunisia, which is only one place ahead. Tunisia represented Africa in the World League alongside Egypt, while Qatar was one of seven Asian countries participating. Qatar and Tunisia both competed in Group 3, where they ranked sixth and eighth, respectively. When the teams met, Qatar won 3-1. Egypt booked its ticket to the Rio 2016 Olympic volleyball event after beating Tunisia in the final of the men’s African Qualification Tournament that took place in Congo. Tunisia gave another shot at an Olympic berth in the second World Qualifier in Mexico, but failed to seize it after finishing in third place. Nevertheless, the Tunisians are eight-time African champions and have participated in six volleyball Olympic events. The Egyptians are hoping to improve their performance in Rio 2016. Egypt will play against Poland on Aug. 7, Cuba on Aug. 10, Russia on the Aug. 11, Iran on Aug. 13 and Argentina on Aug. 15. It will proceed to the quarter finals if it ranks in the top four out of the six teams in its pool. This will be Egypt’s fifth Olympic volleyball participation, with a best finish of tenth place in Los Angeles 1984, when Tunisia ranked ninth. On the other hand, Qatar will make its Olympic volleyball debut this year at the beach volleyball event, to which Tunisia and Egypt are heading as well.